d a n i e l l e b u r k l e o : THE FLUFF STOPS HERE. Well. It's about that time, strong emphasis on about. I've got two days left and a new years eve appetizer list to boot. I'm gonna go out with a bang, and a donut. But then the baked goods and games are over, cause on January 3 starts the second round of a little too fluffy. I am pretty comical (sad?) at weight loss challenges, but I organized this last year and it was a really great accountability group through instagram. Women encouraged each other, shared fun recipes, their work out successes, and much more. I lost eleven pounds last year doing it, I probably could have lost more if I actually stuck to it the whole time. Wait what? I'm serious this year. This is my serious face. Remind me of this next week. I'm gonna get my running shoes back on, and get my eyes off the cannolis. I'm even going to sign up for two mornings a week boot camp class. At 5:30 AM. Someone hold me. I want you to join me this year! Here's the scoop: $20 in, limit of 45 women. Email alittletoofluffy@gmail.com ASAP to get in on this goodness. My girl Carina is my life coach, so naturally she is taking over the emails, calculating, etc for me. We are not providing any workout tips/diet plan, that part is all on your own. But we will be following along with each other through instagram using the #alittletoofluffy hashtag. You can find me here: @danielleburkleo, and Carina, @lovelylittlewhimsy. There will be a weekly weigh-in, and results (in percentage lost - no one will see your actual weight except Carina) emailed to all participating every friday for six weeks. The game is over on valentine's day, thank the good Lord above. 2/3 of the cash money is going to the first place winner, most % of weight loss, and 1/3 to the runner up. That is a lot of dolla bills. We will email you the exact numbers after everyone pays and sends their weigh in. Y'all ready for this? 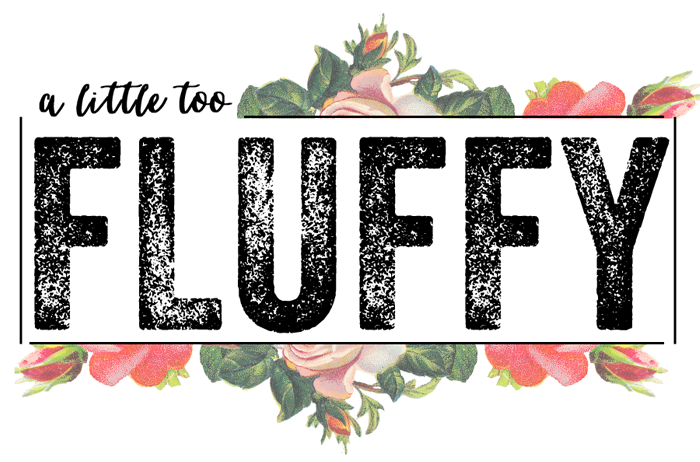 #alittletoofluffy -- back and better than ever. I'm in...my oldest and I just signed up for the gym again! It's going to be so good for us! Ok, I'm totally in. I didn't win last year BUT it did help me in going on to lose a total of 36.8 pounds in 2013. I'd like to do the same in 2014. I'm ready to do this. this was fun last year …. i'm gonna think about it! i need something for sure! So excited to be in!